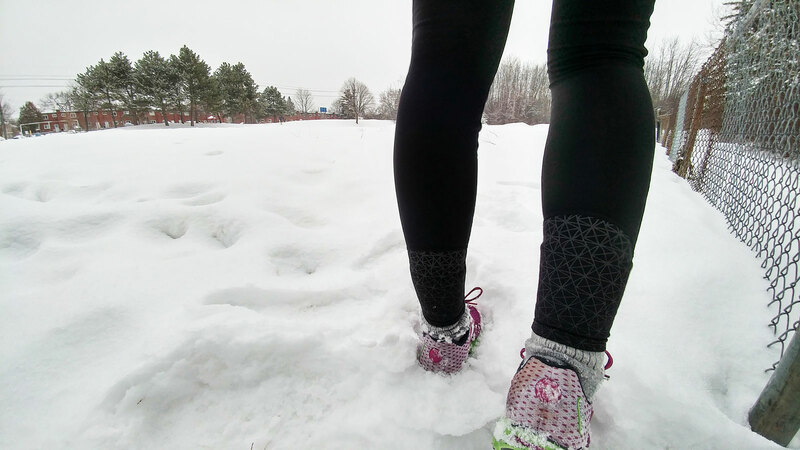 Winter running may not be everyone's cup of hot cocoa – extreme slush, snow and ice can occasionally deter even the most surefooted among us – but I'm a proud believer that many reluctant people would get onboard if they had proper winter running gear. Proper running gear means layers, yes. And layers made from the right fabric, sure. 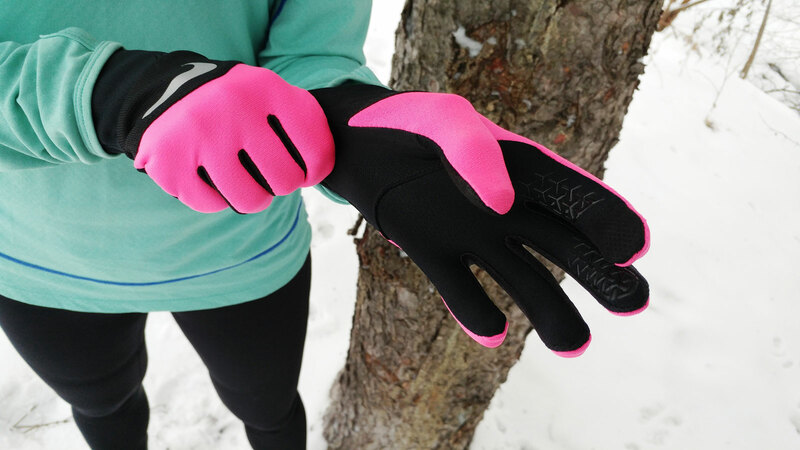 But enjoyment of winter running can be further maximized through helpful design details, such as touchscreen-capable gloves and reflective designs. With the tights and gloves below, it's possible to fully enjoy the slush, snow and ice as the fun, exhilerating obstacle course that they are. Despite my love of winter running, I actually hate the cold. That's why I love the microfleece interior of these tights, which is inconspicuous enough to not be bulky but still makes them cozy from the first moment you put on, even if they were kept in a chilly wardrobe. At -10 C, they kept my legs toasty and did a pretty good job of cutting the wind. I generally prefer my workout pants to have a higher rise, so when I pulled these on and the waistband settled low on my hips, my spirits sagged with the expectation that my pants would soon follow suit. They were fairly comfortable, at least, and despite the non-yoga waistband there was no noticeable muffin top. As I began my run (and many runs since), I was pleasantly surprised that the waistband stayed put (even without using the interior elastic drawstring and with my keys tucked into the back pocket) effectively avoiding the unflattering and annoying saggy crotch syndrome. Maybe they stay up because of the ergonomic panels and seams and the perfectly-sized gusset; maybe those details are just there to make you look svelte. I will say that if you've got athletic thighs, the seam that runs across the thigh may cause some very subtle constricting and bulging. With the cozy microfleece and reflective silkscreen panels at the backs of the lower legs, these tights are perfect for the fleeting daylight and quiet nights of winter running. The low-rise design, while perhaps not to everyone's taste, is flattering and surprisingly functional. The finger pads were very effective when handling the touch screen of my phone and Garmin smartwatch, and thoughtfully placed silicone strips help grip the pricey piece of technology in your hands. However these extra materials seem to have made the fabric a bit more conducive to the cold; my fingers were a little chilly, compared to other similarly-weighted running gloves. Also, I would've preferred the fingers to be just a little bit longer, though they did ensure that the ends of my fingers were pressed against the touchscreen pads. Though not the warmest gloves, the bright splash of colour was a fun addition on dark dreary mornings and the touchscreen compatible pads were reliable.